The concept of the journeyman and his apprentice goes back thousands of years. In America, many men were serving apprenticeships even before our nation was founded. 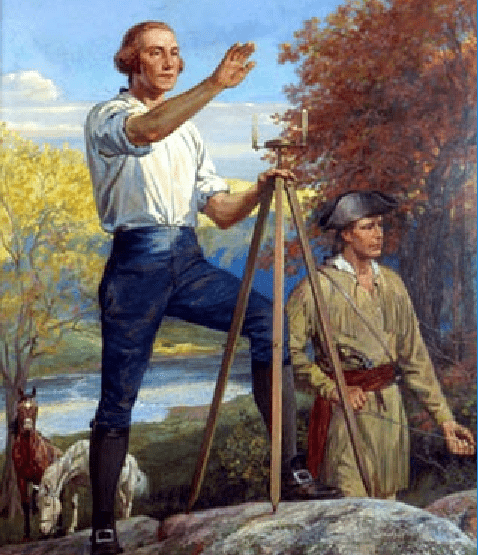 In fact, the father of our country, George Washington served an apprenticeship to become a land surveyor. When he wasn't leading troops into battle, this was George Washington's profession. And it was a most important skilled trade for someone seeking to lay out a whole new country. This sort of hands-on instruction has always been the means by which an individual could train to become a journeyman within any given skilled trade. Only after successfully completing this long apprenticeship could a person call himself a journeyman. Upon becoming a journeyman, the individual was free to travel anywhere his services were needed. This is where the term journeyman came about, because the journeyman could travel and bring his unique skill-set anywhere he chose to practice. He was also now free to take on his own apprentice, thereby continuing the process of hands-on learning. Most of us grew up learning about Benjamin Franklin and his “Poor Richard's Almanac”. 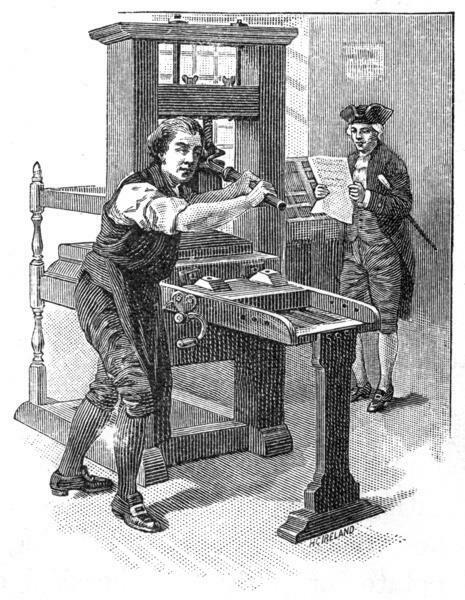 However, none of what Franklin put into print could have existed had Franklin not first served an apprenticeship under his older brother to become a journeyman printer. 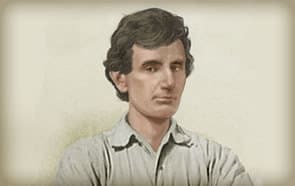 Some may remember that Abe Lincoln never attended law school. Instead, he apprenticed to become an attorney. While far less common today, it is still possible for someone to apprentice to become an attorney, rather than attending law school. 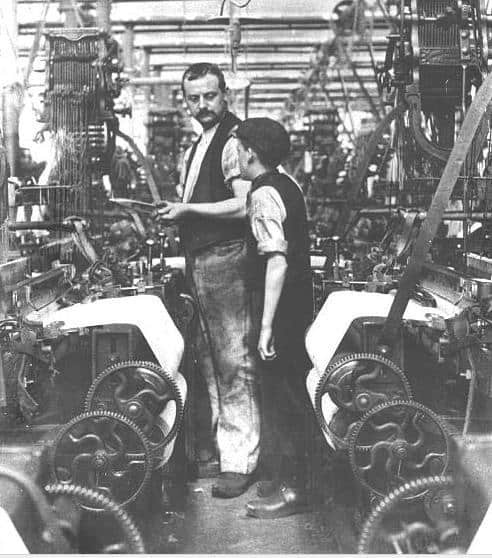 Master and his young apprentice in the textile industry in late 1800's America. As the industrial revolution changed American manufacturing new apprenticeships became available in many new trades. Back then apprentices typically began their apprenticeships in their early teens, and sometimes even younger. Even in current times, apprenticing remains the ONLY means by which these hands-on, skilled trades can truly be taught and learned. In order to keep up with today's high-tech world, a classroom component has been added to modern skilled trades apprenticeships. Now, in addition to their required five-year on-the-job apprenticeship, apprentices are also required to complete a two-year associate's degree in their specific field. 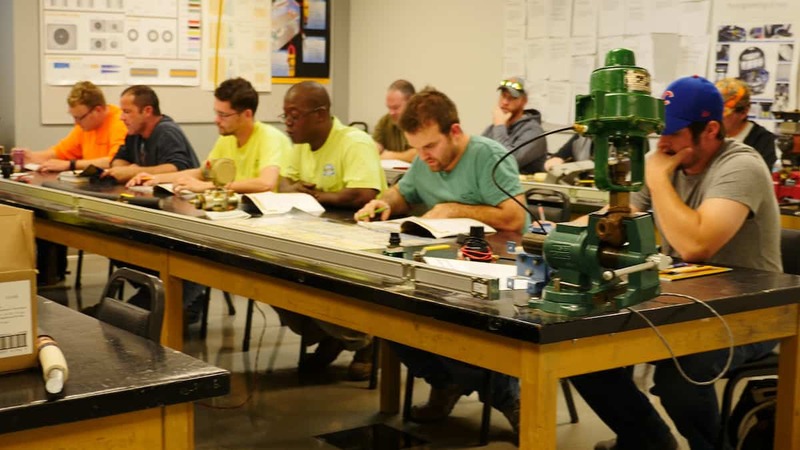 Most apprentices fulfill their classwork requirements by attending evening and weekend classes while working (and being paid) as a full-time apprentice during regular working hours. This makes for a very busy five years. Between the required minimum of eight- thousand hours of supervised on-the-job instruction and the required two year associate's degree program, the applicant will be not be enjoying a lot of free time. However, the payoff for having endured all this training is a secure job and a potentially-lucrative career as a RealJourneyman™ skilled tradesman. RealJourneyman™ is dedicated to recognizing the most demanding of today's skilled trades and the time-proven method of learning through an apprenticeship under the supervision of a qualified journeyman.